This will be the addons of the Event Espresso plugin. Place above shortcode wherever you need search form. Result will be displayed using ajax just below the form. 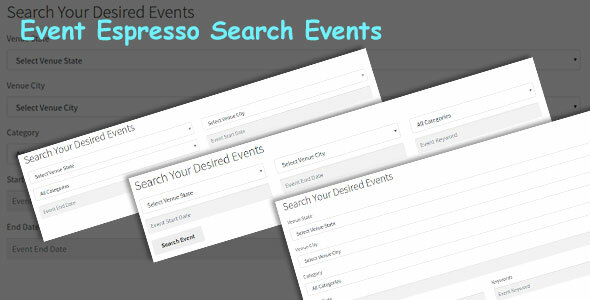 This plugin help you to find the Events of Event Espresso using the Venues, city, title and many other options. You can manage labels and options, class of the forms to modify the structure. We have used default bootstrap structure that can be managable using class from admin side. You can manage to customize from the admin side.